GVS has developed innovative solutions that eliminate the bottleneck of your design, 2D/3D animation, mapping, rendering and production, allowing for greater creative collaboration and increased productivity. GVS introduces a line of high performance workstations (up to 48-Core or 64-Core in 4U rack space) that will suit the most demanding digital professional. 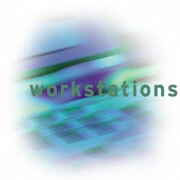 Our rugged workstations are designed for wide array of applications. Unlike commercial workstation, GVS9000 is able to meet the true needs of the rugged rack system in marketplace by offering a superior level of support demanded by Aerospace, Audio/Video, Biotechnology, Communications, Defense, Education, Manufacturing, Medical Imaging, Mobile equipment, Oil & Gas, Pharmaceutical, Broadcast (Sports, Live Events and 2K, 4KHD recording) requirement. This includes revision control, product life cycle management, custom operating system, engineering support and high quality design and manufacturing. The combined benefits of custom manufacturing with low cost of ownership.